What goes up, must come down, and when you're talking about Google's Project Loon, they sometimes rain down from the sky to wreak havoc on quiet towns. In Google's quest to shower Internet to the unconnected world, the company ran into an issue when one of its balloons struck power lines and knocked out electricity in Washington. Imagine seeing Google's Internet balloon, i.e. your connection to the World Wide Web, slowly descending toward you out of the blue. Imagine it crashing into your house, your car. Suddenly Internet-for-all doesn't sound so great. During what was supposed to be a "controlled landing," Google's balloon crash-landed at around 1 a.m. PT, taking out a series of electrical lines. It took city officials five hours to clear the mess—luckily it happened when most people were sleeping, unaware that the renegade Internet balloon was lurking outside, waiting. It sounds like a corny parody horror flick. Google has devised a clever way of controlling the balloons once they're airborne. Unfortunately, they're a little vulnerable to the elements on the way down, which is seemingly what caused this incident. Google says balloons are typically brought down over safe zones, and come with countermeasures to ensure nobody on the ground is in any danger. These measures, it seems, need a bit of extra fine-tuning if Google is to avoid similar incidents. Google doesn't just want one Internet balloon floating around above our heads, either, but multiple, so you can imagine what it would be like if Google lost control of more than one. And this isn't even Google's only means of connecting the unconnected: it wants to also use drones and satellites. 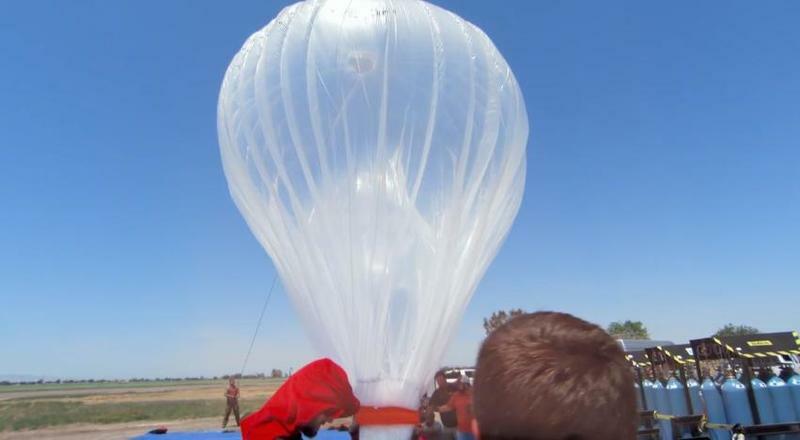 Google said its balloons operate with FAA approval, and has a team dedicated to recovering its Project Loon balloons once they land. This time, however, that meant also working with a local power company to clean up its mess. At least with power out you'd still have Internet thanks to Loon.